Hartley Lachter, associate professor of Religion Studies and Philip and Muriel Berman Chair in Jewish Studies, is an expert in the study of Kabbalah, or Jewish mystical literature. 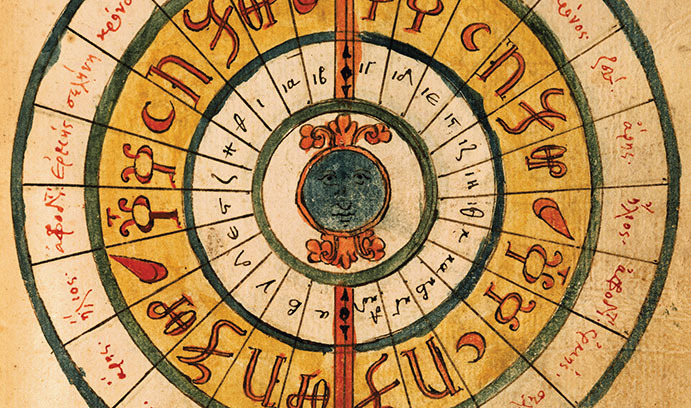 His most recent work examines medieval Kabbalah on the Iberian Peninsula, focusing in particular on the Spanish region of Castile during the late 13th and early 14th centuries, which was an unusually creative moment in the history of Jewish mysticism. The author of Kabbalistic Revolution: Reimagining Judaism in Medieval Spain, Lachter’s work examines this rapid spread of Kabbalah in Spain and considers how the development of this new form of Jewish literature was connected to Jewish-Christian polemics and the conditions of Jewish life in medieval Europe. “If we pay close attention to the strategies that were at play in Kabalistic literature that helped Jews rethink the meaning of Judaism and Jewish identity, then we’ll understand something really important about Jewish history, “ says Lachter, who is also director of Lehigh’s Berman Center for Jewish Studies. Lachter argues that the development of Kabbalah in Europe allowed Jews to reimagine their identity, enabling Jews to regard themselves as powerful, despite their lack of political agency. In the kabbalistic system, Jewish religious practice is a potent force that literally holds the fabric of the universe together. This conception of Jewish power was appealing to many medieval Jews, Lachter notes. While the era’s Christian preachers claimed that Jews were blind to the true meaning of scripture and had been abandoned by God, Kabbalists countered that Jews possessed a uniquely privileged relationship with God. Kabbalah envisioned this marginalized group at the center of the universe.